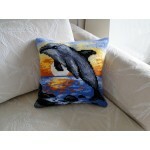 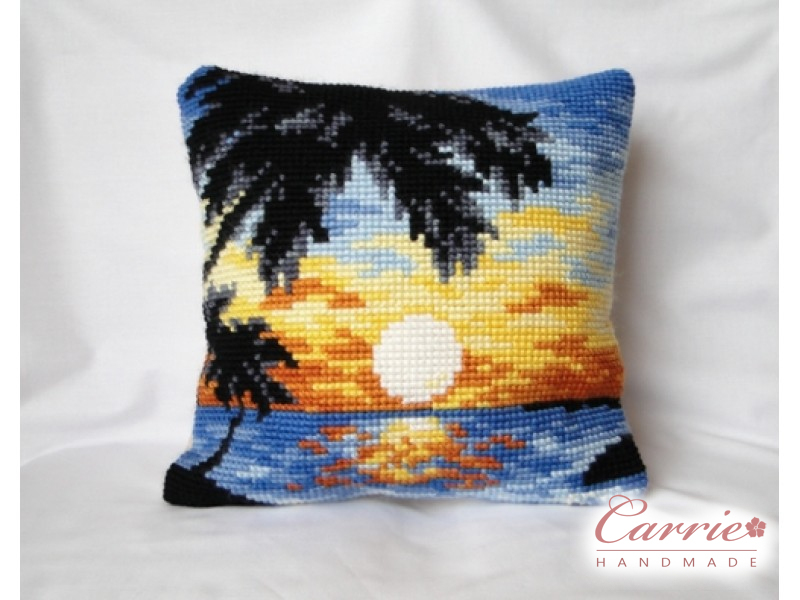 Hand cross-stitched pillow portraining colorful "Sunset in Tropics" theme, finished, zipper closure on reverse side makes it easy to insert/remove pillow. 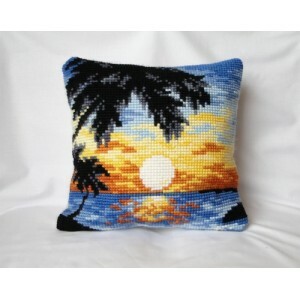 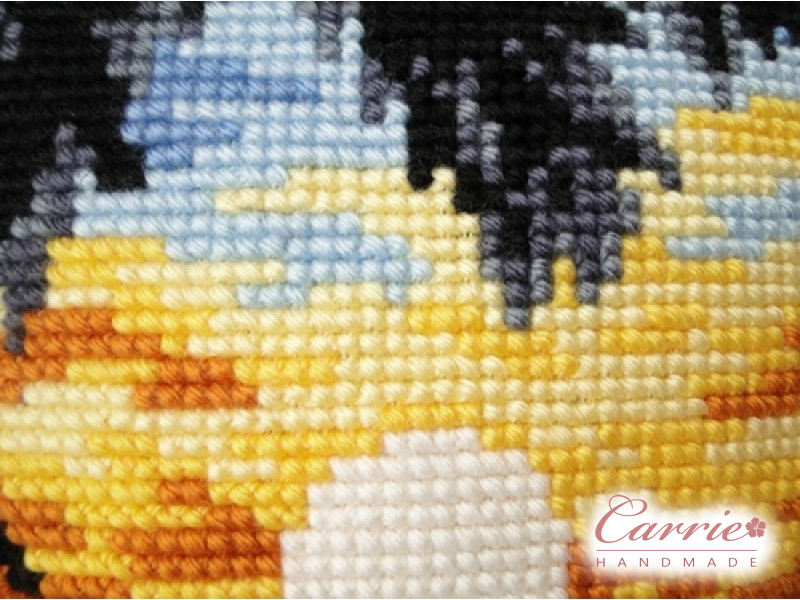 Materials: 100% cotton canvas pillowcase, 100% acrylic yarn accents (pillow case), polyester (pillow insert). 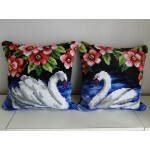 Hand cross-stitched pillows portraining beautiful swans. 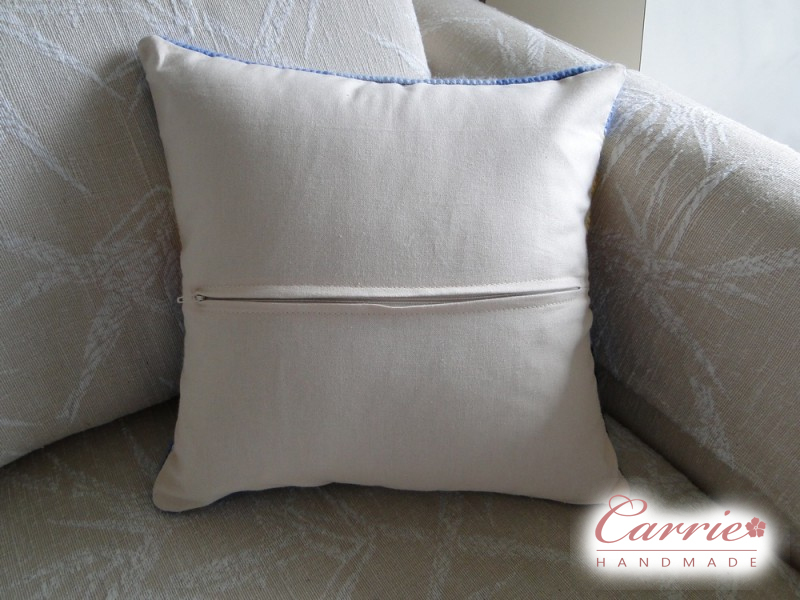 Finished, zipper closure on reverse side ma..